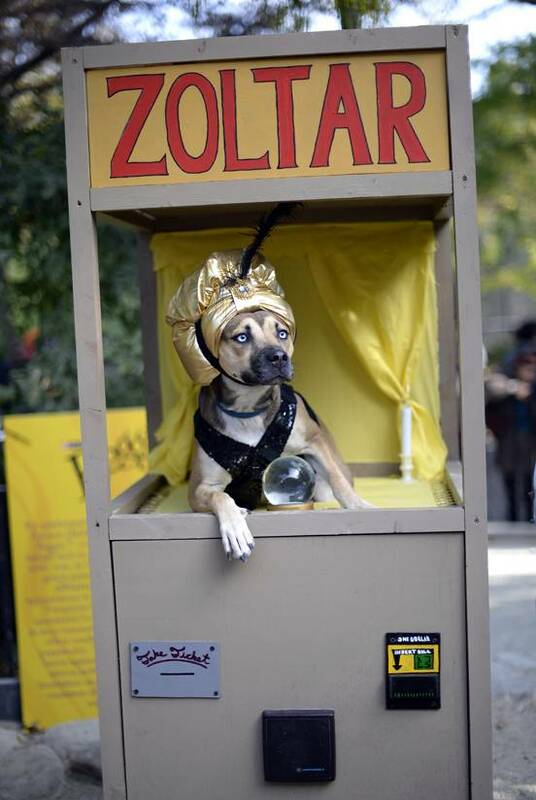 You'll howl with laughter at these pets in Halloween costumes! Well, the world is full of creative people that come up with some amazing pet costumes and pet memes. We thought we’d share some of our favorites with you. They say many pets have old souls and you can tap into the wisdom of the ages with this Zoltar set. Or maybe you can make a wish and it will be granted. Does anyone want to grow big? One, two, doggy’s coming for you. Three, four, do you have a doggie door. Five, six, he’ll fetch your sticks. Seven, eight, he’ll eat everything on your plate. Nine, ten, you will snuggle again. For those of us on a budget with a very overeager eater for a pet. Actually, I just thought it was funny. If your pet has unique coloring or markings, you can take advantage with a cute costume. This cat has a black spot that looks like a mustache, so its owners put down a Mario hat and now the cat is taking selfies in the mushroom kingdom. Got a big beautiful black chocolate lab? 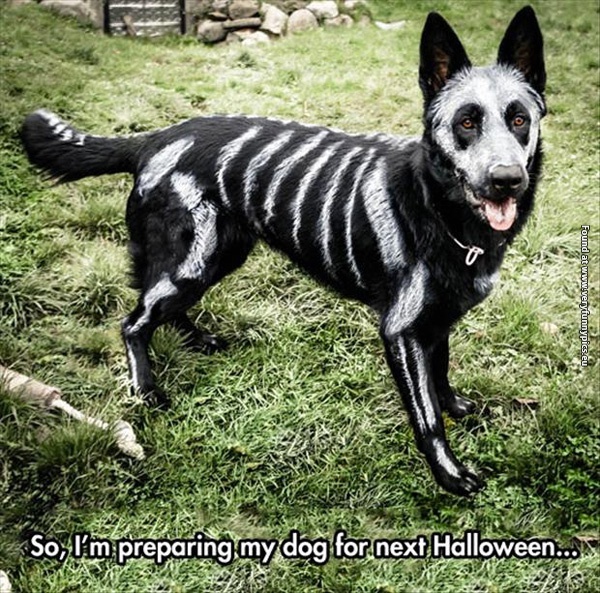 Well, put a little safe white color on their fur and you’ve got some spooky skeletons running around and chasing their bones. …or Hairy Pupper! Get it? Well, anyway, if you’re a big fan of the books and the Wizarding World in general, you could do worse than sticking your pet into the splendid robes of the Hogwarts Houses. Batman actually DID have a dog in the comics; Ace, the Bat-Hound. Well, with a few easy props you can turn your big dog into a superhero! He sure is, Mr. Pug. He sure is. Who wouldn’t want to kiss that beautiful face? All you need is a cardboard box and some colorful drawings and your dog will be the heartbreaker in every party. Sometimes you’re the dog on the left. Other times you’re the dog on the right. Either way, Halloween is fun for everyone! Got any other favorites? Let us know in the comments. Happy Halloween!